3D printing is a way to produce objects and shapes using less material than traditional manufacturing methods. As the name implies, a 3D printer will allow your virtual 3D design on a software program to come to life. Having a design and a printer together with a way to transfer the design to the printer and providing it with the materials needed to form the objects are keys for this process to work. While there are many ways to build a 3D printer trying to resemble any of the 3D printers on RepRap "Replicating Rapid-prototype" website, the lists of these ways are quite long, making building the printer a challenge, maybe not the easiest to some of us but it's certainly one of the most interesting. Without further ado, let's jump into talking about the essentials to build a 3D printer. RepRap 3D printers can be broken down into three groups of components, namely the electronics, mechanical body, and the extruder. The mechanical body: this includes all the structural and moving parts of the 3D printer from belts/pulleys to rods and the print bed. The extruder: consists of a cold end and a hot end. As for software, it is necessary to upload firmware to the controller. What do you want your 3D printer to be able to do? This is the first and most important question to answer. There's no point of putting your time and effort in something that at the end of the day won't get the job done. Set out your eyes on what will suit your need. True, the more features you want to have for your 3D printer the more of a challenge the experience is, but you want to be satisfied with the end result. From my personal experience, I would recommend starting as basic as you can and then adding more features over time if you needed. There are two ways to go for building your 3D printer at home. Really starting from scratch: you have the printer you want in mind, so you need to list all the pieces you need to build it and start your challenge from chasing these parts down. You can get the parts you need from the market or buy them over the internet, maybe find some second-hand 3D printer parts even. 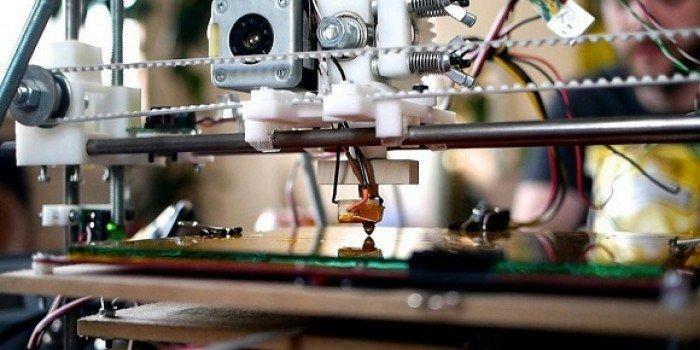 3D printers DIY kits: if you want an easy start, this is definitely the way to go. Once you decide the design of your printer and its style, if you get a kit it will include all the parts you need to build your printer as well as the instructions to do it. In my humble opinion, getting a kit is more convenient especially if it's an affordable option on your table, not only is it time-saving, but it also saves your energy for the most challenging part and makes more focused on the building process itself. This kit is so convenient for those who are looking to build their 3D printer in the most affordable and convenient ways. Another advantage of this kit is, you will be aware of every single piece put into the built of the printer, so you will be able to modify it or fix it if needed. The one downside when using this kit is time. Building a 3D printer out of a scratch kit is so time-consuming, you will need patience and dedications but once you are done with it, the satisfaction is worth the time you invested. With this kit, it's a lot easier to build your printer, though I wouldn't assume it is as easy as building a shelf unit or a chair, but many manufacturers do sell such kits with easy assembling instructions included. This kit is convenient if you want to save some money without consuming as much time as consumed with the first kit. And now that you have the printer design and tools to build it and with the help of the included instructions or those that you can find on RepRap website, it's time you start working on the building the printer itself. You have come this far, the hardware of your 3D printer is now ready, let's add the final touches needed for your new machine to work, the software component, so that you can talk to your printer or in other words, convert your 3D graphics and designs into instructions that the printer can understand and follow. At last, your new printer is now ready for its first journey cooking your design. Hope it's a yummy dish.